Almost there....a few more days and it will be ready. Pattern is written and now I just have to tweek the last minute things. PS: thank you all for your enthusiasm about the little Keepsake Loom. Hubby has seen the interest and he is considering adding it to the line of DALooms. The mittens looks great Isela! 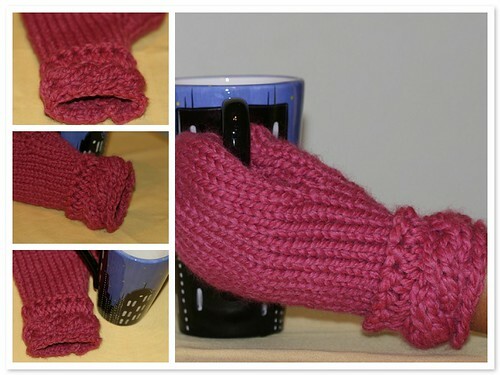 The mittens are wonderful. I am almost ready, will have both socks done by tomorrow. I will be just in time to start the mittens. I love the mittens! You are going to shine at KnitOut. I am glad hubby is considering adding the cute little loom to the DA lineup. If he does will there be pre-orders? I just left a message on Raverly about test knitting, do you still need someone? I like that yarn color, what is it? So far I haven't been very successful with loomed mittens, maybe this is the one.